Join us at the 2018 Diversity Summit on Thursday, November 29, 2018. 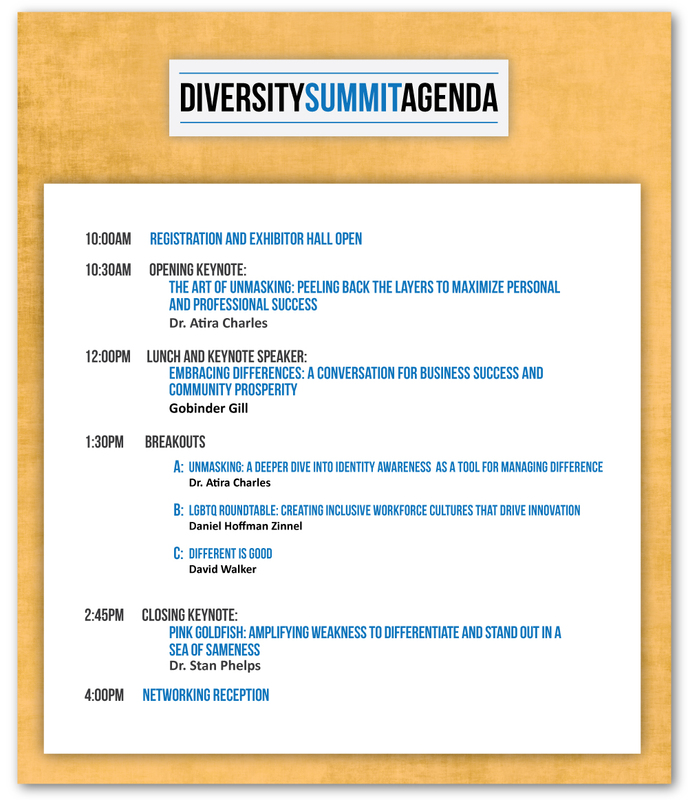 The Diversity Summit features interactive Diversity Workshops with dynamic opening and lunch keynote speakers. The Chamber's goal is to foster meaningful discussions on diversity and inclusivity, as a priority in business and community. Courageous conversations to feed our fundamental need to belong; from our place of business to our place of residence. 10:00 a.m. - 4 p.m.